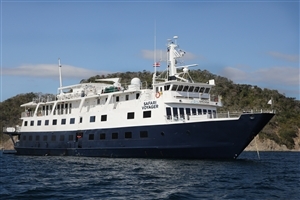 From the bustling cityscape of San Jose all the way to the azure waters of the Panama Canal, get ready to navigate the waters of Costa Rica on this incredible 9 day adventure aboard the warm and welcoming Safari Voyager. Explore verdant national parks, dive beneath ocean waves and see the critters that call this region home with this in-depth journey of one of Central America's most incredible hotspots. Explore the bustling cappital city of San Jose. Carefully cross the swinging bridge of the Curú National Wildlife Refuge. Blaze a trail through the jungle of the Osa Conservation Area. 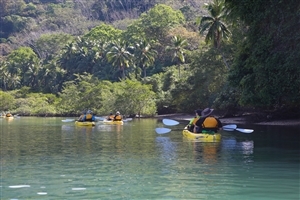 Discover the wildlife and extoc tropics of the Coiba National Park. Take in the sights as you navigate the waters of the Panama Canal. 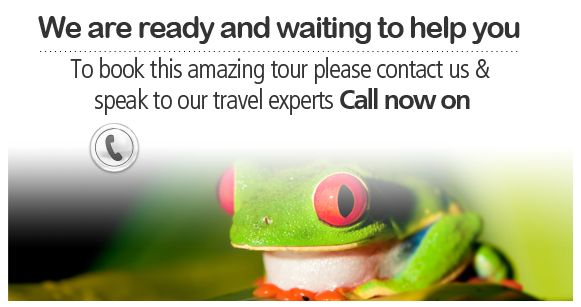 Your adventure begins on arrival in San Jose, Costa Rica where you'll bbe greeted and transferred from the airport to your hotel for an overnight stay. Take the time to explore the capital city of San Jose. uncovering some of its nearby sites and cafes before coming together with your fellow adventurers in the afternoon at the hospitality of your hotel. After everyone has gathered you will travel to Caldera Port and board the Safari Voyager to meet the captain and crew who will be joining you on your journey. First stop on your cruise will be to discover the verdant mangroves at the southern tip of the Nicoya Peninsula, a region filled to the brim with wildlife and spectacular sights waiting to be discovered. Cross over the swinging bridge, keep an eye out for monkeys while hiking across the Finca de Monos trail and delve beneath the waters off the Isla Tortuga for a chance to explore the area's turquoise waters. Seek out adventure at the isolated Osa Conservation Area where you'll find the country's largest national park, Corcovado. It's here you can keep an eye out for tree frogs, caimans, anteaters, macaws, monkeys and more as you explore the expansive area and cut a swath beneath the jungle canopy. As the day comes to an end you can enjoy the sunset with a beverage in-hand as you recount stories with your fellow travellers. 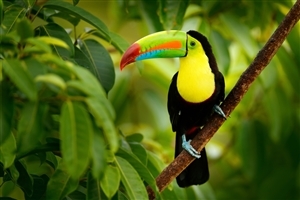 Explore a tropical reserve that is home to a plethora of vibrant wildlife and is a veritable bird watcher's paradise. Take in the eclectic sights and sounds as you navigate the trees and bushes on a walking tour through the area. Let the soothing ambiance of the Golfo Dulce inlet wash over you as you discover its mangroves of flora and fauna via skiff or kayak. Head on through the islands of Coiba National Park and make a stop at the picturesque Granito de Oro islet where soft, white sands, volcanic outcroppings and a dense mini-jungle all connect over a small patch of land. Considered one of the world's top 10 diving sites, it would be a shame not to take the opportunity to snorkel, kayak and dive beneath the azure tides. Continue on along a trail through the unfettered jungle on the park's main island to catch sight of the eagles, monkeys and turtles that call Coiba their home. Your second day in paradise begins with a guided walk to see the park's wild inhabitants and the exotic flora they live alongside or you can choose to snorkel and kayak around the rocky outcroppings. After a morning of exploring you'll set off on your cruise ship once again to your next destination. 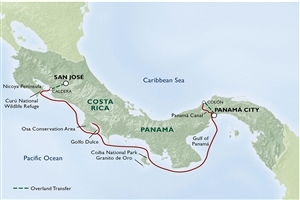 Your final full day of the tour sees you taking in the sights and sounds of the diverse Panama Canal. The Captain will decide your final route and experience to best suit the journey, choosing from bird watching on a skiff or watching out for mobula rays as they glide across the water. Continue on along the Panama Canal, a 48 mile stretch of water that connects ocean to ocean, and join your fellow travellers on deck for a toast as the canal lights up. A farewell dinner to celebrate the journey along with a slideshow highlighting the week's adventures signals the last night of the tour. Enjoy an early breakfast and make one last stop at the Agua Clara Visitor Center. 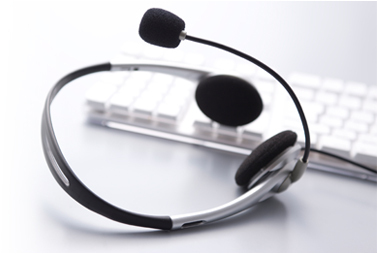 The cruise tour comes to an end as you transfer to the airport or following hotel.